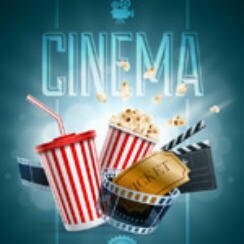 Home » UK Cinema Charts February 16 2018 – Black Panther??? It’s that time of the week when we take a quick look at the box office films this week and find out which movies are hot. Will the Baftas Awards affect the chart this week or next? One thing’s for sure we have a change at the top of the charts. Where will Black Panther enter the charts? Let’s find out, these are the figures for UK Cinema Charts February 16 2018. There are two new entries making the UK top 10 meaning that comedy Father Figures starring Owen Wilson and Christopher Walken fails to make it instead having to settle for number eleven and box office takings of just £250,465. There is a brand new number one and it will come as no real surprise as Marvel’s superhero film Black Panther goes straight in at the top of the film charts with extremely impressive cinema takings of £17,700,000. That means last week’s number Fifty Shades Freed drops one place to number two. Taking a look at the weeks other new entry sees The Shape of Water enter at number three. Meanwhile Bafta winning film Three Billboards Outside Ebbing, Missouri drops down to number eight on the film chart although it may receive a little boost from all the recent attention. On a side note 20th Century Fox occupy four places on the movie charts with films at three, four, eight and ten with combined weekend takings of £20,900,730.